Description: This cover piece was a last minute decision, after deciding with the publisher that a blank, leatherette cover with simple design would not be as marketable. The original painting is in the collection of the Mel Gibson family. 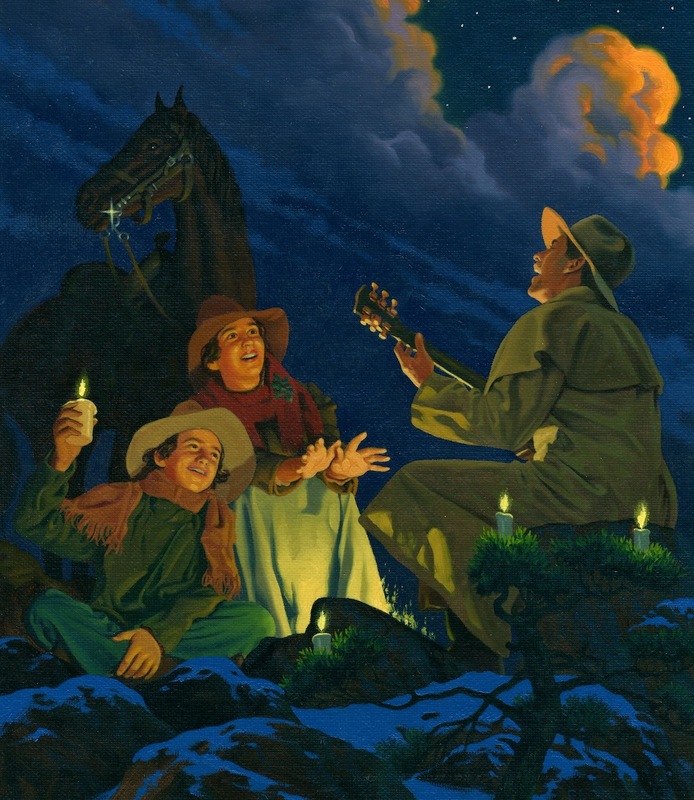 Description: The model for the cowboy in this painting, and key character throughout the book, was the artist's younger brother and chef-to-the-stars, Richard Florczak ( http://www.theprivatechef.com ). In fact, he has modeled for the artist many times over the years since he was a young boy. 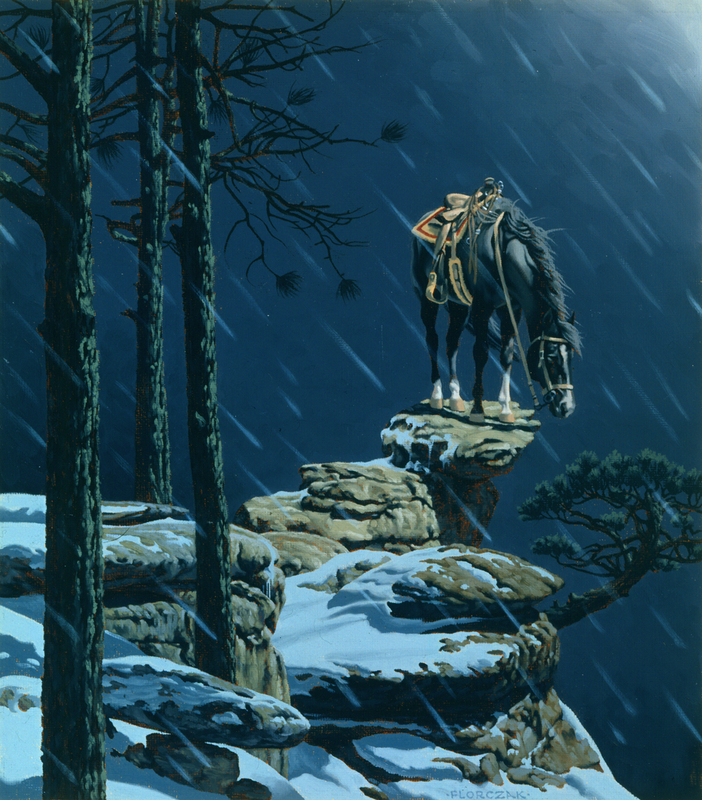 ...the Western setting, both in words and pictures, is quietly dramatic. 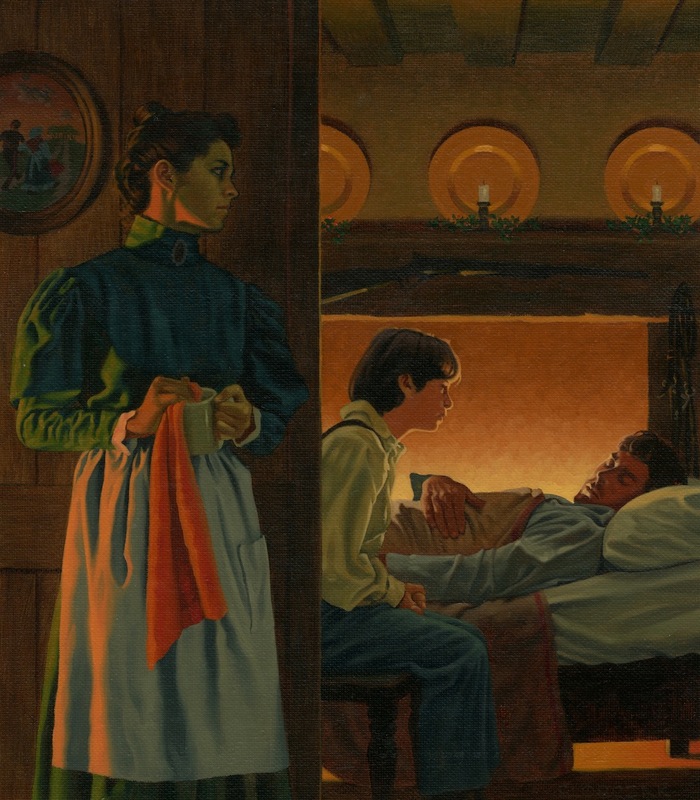 ...There's an old-fashioned feel to the large-size oil paint illustrations, which contrast the warm, glowing indoor scenes with the cold blues and grays of the stark southwest plains. 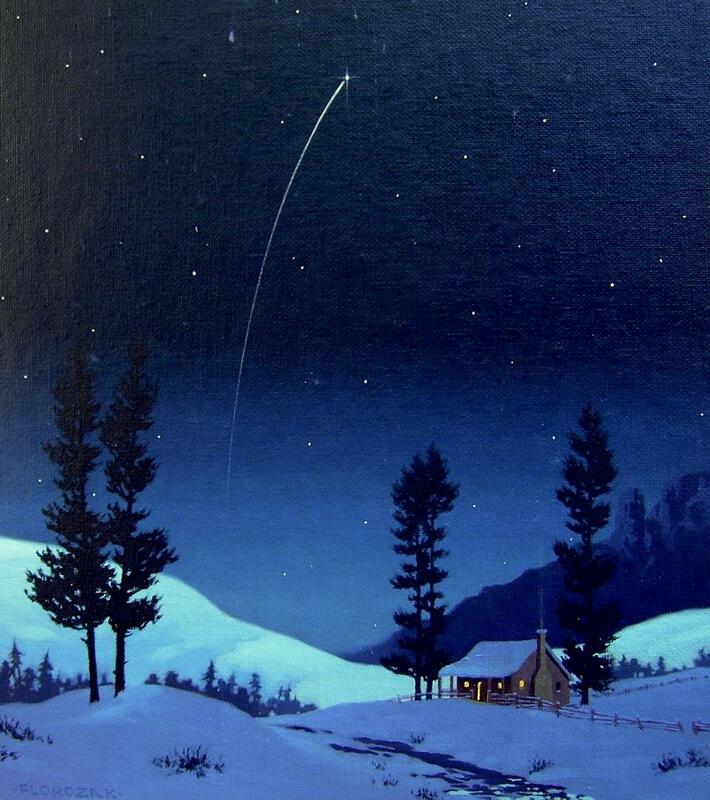 One unforgettable image shows the exhausted cowboy slumped and alone on his horse under the night sky. 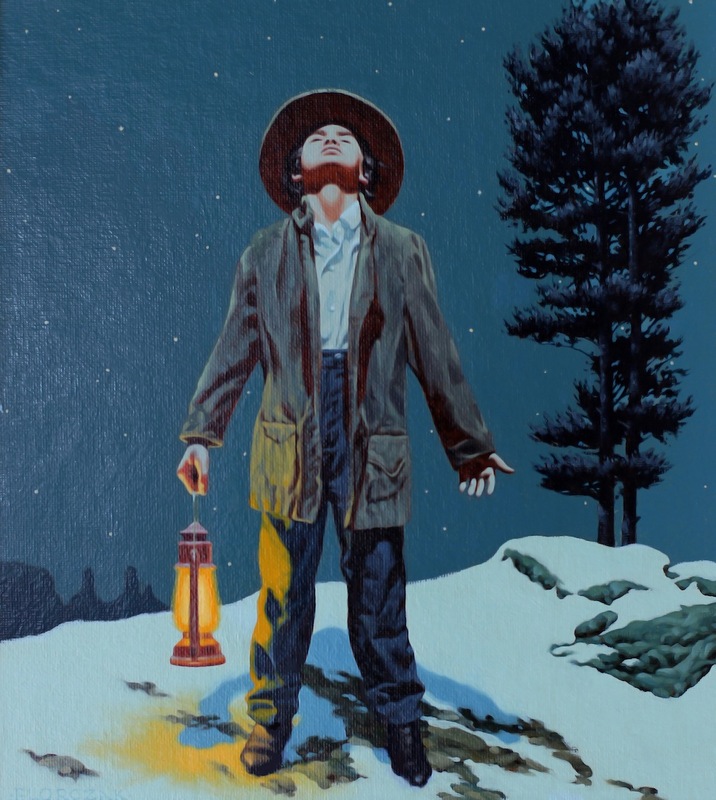 Florczak's realistic oil paintings, aglow with light and shadow, make ample use of the Western setting. 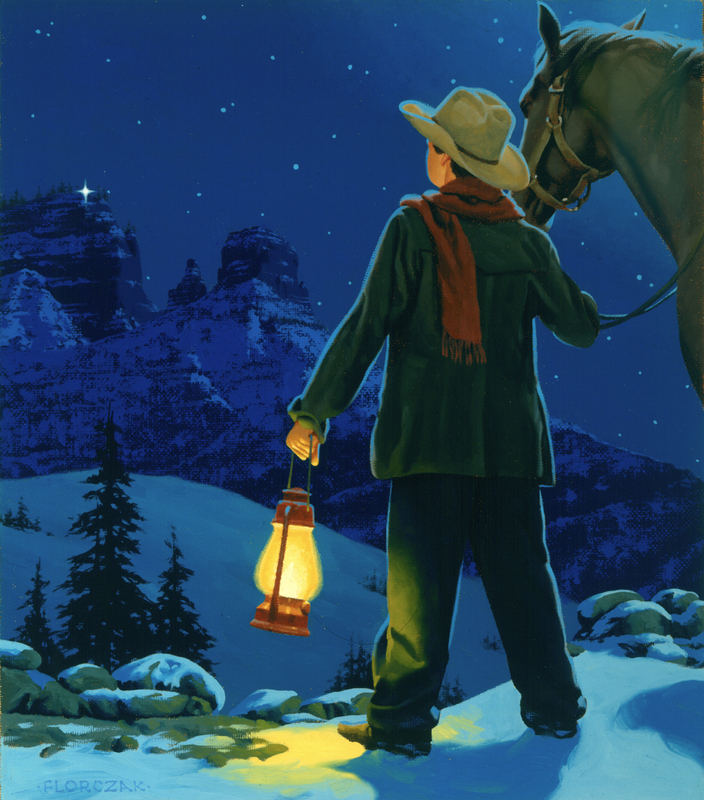 Scenes of cowboys camped around a fire inject a dose of humor, while stunning paintings of Cully's riderless horse on a snowy cliff and Evan's mother strolling with Cully under leafy birch trees convey the dramatic events. ...(an) attractive book ... Florczak's evocotive, romanticized oil paintings are the high points.